If you have a company or run a business, you know how important parking is to you and your customers. 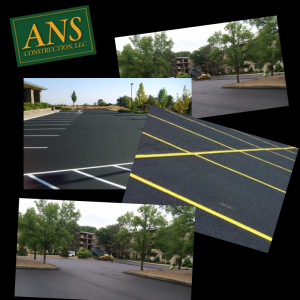 You want your customers to be able to drive and park smoothly in your parking lot and to do that you need a great seal coating contractor. When you add a seal coat to your freshly-paved parking lot, it provides a protective layer to ensure there will be no cracking for years to come. However, finding a quality seal coating contractor can sometimes be difficult. Here are some questions you can ask yourself that can help you figure out if the contractor you are considering is a good one or not. You should always ask how much experience your contractor has. Knowing about their experience is one of the leading ways of finding out if they do good work. Experience consists of both length of time doing similar jobs as well as the number of jobs they have done. Some companies have been in business for years and have only done one or two similar jobs. Most of your commercial seal coating contractors have a presence on the Better-Business Bureau, even if they have not paid to be a member, where people can report any issues the company may have had in the past. The Better Business-Bureau was founded to help build the trust between customers and companies. By asking a company what their rating is and looking it up yourself will go a long way in determining how good or bad of a job that particular company does. If the company offers a free on-site estimate, there is a good chance that they are willing to get into the nitty-gritty and give you a quote that is realistic and specific to your needs. Companies only wanting to do generalized estimates may not be prepared for any unique issues that may change the quote significantly. Asking for an itemized billing statement can also be a great way to tell if you’re hiring a reputable seal coating contractor. If they are willing to let you see a breakdown of your expenses, it could mean that they are eager to be transparent with you to work with your needs. Also, if something needs to be altered or changed later, you can easily see how and what has changed without having to guess how much money was taken from or added to the budget. Again, if a contracting company isn’t willing to give you an itemized billing statement, it doesn’t necessarily mean that they don’t do good work, they may be a little more strict on their prices and their procedures. Relying on your gut might come in handy here. Asking a company who supplies their products can be important as well. This way, you will know that since their seal coat job starts with quality materials the chances of the job being high-quality increases. Once you know who their supplier is, it gives you an opportunity to look up the supplier and research the particular seal that they are using and determine if it is one that you would like to use in your parking lot. You can also ask your contractor how they mix their seal solution. Some companies dilute their seal with a lot of water to reduce their costs and increase their profit margins. However, this practice does reduce the lifespan of the seal. You also want to make sure that your contractor mixes sand into their seal. The sand adds an additional layer of protection that helps prevent skidding in your parking lot. As you probably already know, seal coating is a project that requires specific safety precautions in place before starting the project. Aside from the obvious health implications resulting from extended exposure to the seal coats, there is another immediate danger, the possibility of somebody suffering a physical injury while the project is happening. It is therefore essential to hire a company that has all the necessary insurance coverage in place so that in the event of accidents or other physical harm that could occur in the course of the project, there will be no liability attached to you. Last but certainly not least, you have to ask if your contractor is fully licensed. Licensure is something that is very important when thinking about hiring a quality seal contracting company. If your contractor is not duly authorized, there is a good chance that any work that is gets done in your parking lot will be of low quality. You should not be afraid to ask them for proof of licensure before signing any contract or paying for services. In turn, they should not have any issues provide you with said proof of license. If they are having problems, then you should immediately figure that something is sketchy with that particular company. You can in most areas look them up at the state office that handles contractor licensing to see what you find. If their license is not valid, I would recommend that you cease all contact with them. All of these are the essential questions that you should ask if you want to find a great contractor to do seal coating in your business’ parking lot. They can be helpful in identifying the companies that will do good work and work to help improve your business.